Do you play gigs for free or cheap? Wish you didn’t have to? In his post ‘Why LA Club owners are totally lost and some advice for them from a professional musican,’ David Goldberg argues the business case that it’s actually bad for the venue to continue this practice. Bottom line: bars and restaurants that ‘hire’ inexpensive (bad) musicians may get one good night when the band’s friends and family come out, but to attract regular, repeat customers, you need a good chef, good promotion, good service, a good location and a good band. You have to pay your chef, your wait staff and every other element of your business, why would entertainment be the exception? A bad band will drive away customers. What if I told the wine bar owner that I have a great band and we are going to play at my house. I need someone to provide and pour wine while we play. I can’t pay much, just $75 and you must bring at least 25 people who are willing to pay a $10 cover charge at the door. Now wouldn’t they look at you like you are crazy? “Why would I do that” they would ask? Well because it’s great exposure for you and your wine bar. The people there would see how well you pour wine and see how good your wine is. Then they would come out to your wine bar sometime. “But I brought all the people myself, I already know them?” they would say. Well maybe you could make up some professional looking flyers, pass them out, and get people you don’t know to come on out. Read the complete article here on scribd. 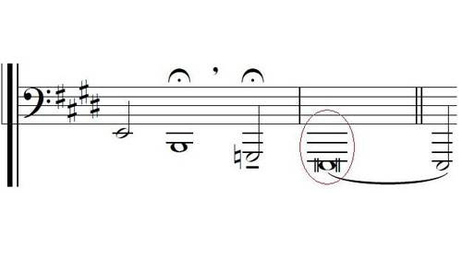 Super Bass: can you hit this note? Listen to this. It may well be the lowest note you’ve ever heard sung. If you don’t want to hear the back story, start at 2:50. You are currently browsing the Songwriter's Tip Jar blog archives for February, 2012.